Reinhard Heydrich was one of the most notorious Nazis, whom Hitler himself called "the man with the iron heart". Heydrich was the head of all secret services of the Third Reich (including the Gestapo). He had a high rank of SS-Obergruppenführer and General of Police. On this day one of the most famous assassinations in World War II happened. Reinhard Heydrich, one of the most notorious Nazis, whom Hitler himself called “the man with the iron heart”, was attacked. Heydrich was the head of all secret services of the Third Reich (including the Gestapo). He had a high rank of SS-Obergruppenführer and General of Police. From 1940, he was also president of Interpol (International Police). He was handling the solving of the Jewish question in Europe. 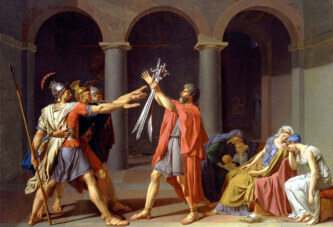 Hitler appointed him to a high place of Protector of Bohemia and Moravia (Stellvertretender Reichsprotektor in Böhmen und Mähren), which gave him almost dictatorial powers in the occupied Czech lands. “The Butcher of Prague” and “The Blond Beast” are the nicknames he soon gained because of his cruel treatments. Czech freedom fighters decided to eliminate him. Czechoslovak government-in-exile, located in the UK, deployed its agents who were trained by the British Special Forces. The agents parachuted in the Czech Republic from the British aircraft. 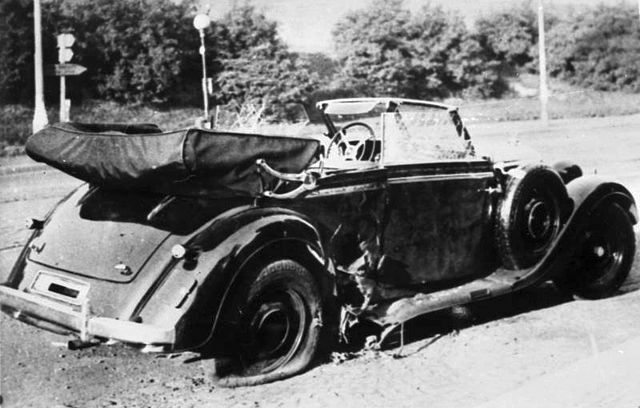 On this day they ambushed Heydrich, when he drove through the Prague suburb in his open Mercedes. They set up an ambush on a U-turn where Heydrich’s car had to slow down. When the car approached, agent Jozef Gabčík revealed himself and wanted to start shooting from his automatic rifle. However, it jammed. Heydrich, instead ordering the driver to speed up, commanded him to stop the car as he tried to shoot at the attackers. Another agent then threw a modified anti-tank mine on the car. Heydrich was badly wounded in the explosion, but he got out and tried to catch the attackers by shooting at them. Only after running across half a block down the street he collapsed from the shock caused by wounding. He was taken to hospital, where a complex operation of lungs, diaphragm and spleen was performed. Hitler’s personal physician, Theodor Morell recommend taking new antibiotic sulfonamides, but this was not done. Heydrich died in the hospital of sepsis, a week after the assassination.